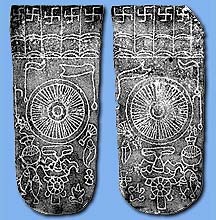 Footprints of the Buddha exist in Afghanistan, Bhutan, Cambodia, China, India, Japan, Korea, Laos, Malaysia, the Maldives, Pakistan, Singapore, Sri Lanka, Thailand and the Union of Myanmar. Each footprint reflects a particular time and place in a culture, with their construction materials varying considerably and ranging from alabaster to silver and gold. 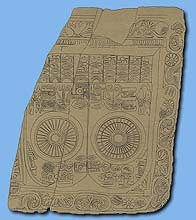 Dr. Sailer has devoted some twenty-five years to the study of these artifacts. © 2001 Dr. Waldemar C. Sailer. All rights reserved.